Kupke, C.A. (2006, March 23). 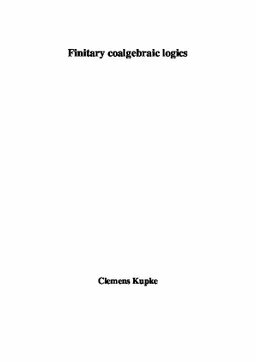 Finitary Coalgebraic Logics (No. 2006-03). ILLC Dissertation Series.